Our Prairie Desk Chair takes on the charm and character of the pieces around it with a comfortable, modern flair made especially for your office. 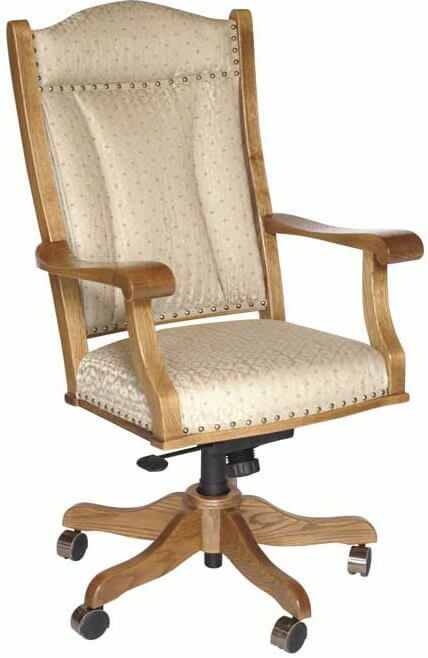 Gliding along on sturdy casters, your Prairie Desk Chair is built from the finest materials in Amish furniture. 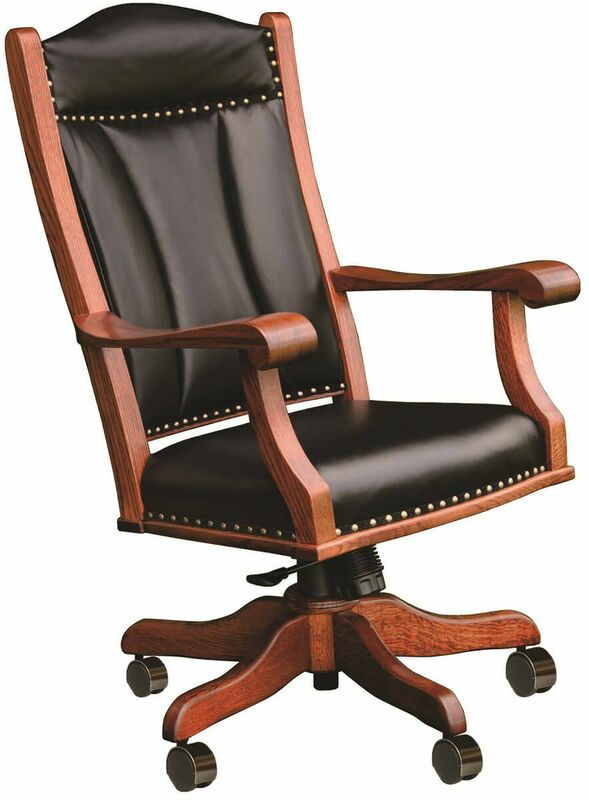 From the comfort of your cushioned, upholstered seat, you can rest assured that your chair's solid wood frame is crafted by hand to last a lifetime. Many powerful design decisions are left to you so that the perfect mobile chair can be made just for you. Select your hardwood, seat options, nail head trim, and stain colors from our Design Your Piece menu and our Amish craftsmen will build it to order. 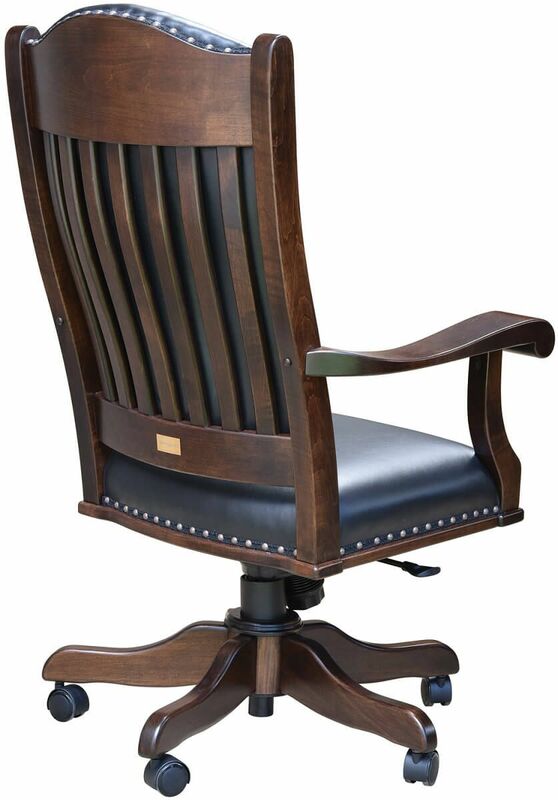 Your Prairie Desk Chair is available in nine domestic hardwoods, a plethora of stains and finishes, and your choice of upholstery. Arm Height: 27 1/2-31 1/2"